Day 352: In the Wheelhouse . . . So here we are, winding down yet another busy weekend and Sunday. Feel a little bit like Carol Burnet’s Theme Song – “I’m so glad we had this time together . . . seems we just get started and before you know it . . . it’s time to say so long” – yessiree Bob, that about sums up the roller coaster we’ve been on for the last three months. Now, do not (“I say, I say . . . Do Not” – name the cartoon character….) get us wrong – we have had the best blessing that parents could ask for — time with our children. As we all know. Time is truly a ‘Dog Eat Dog’ competition (Who’s wearing milkbone underwear?) and before you know . .. BAM, they grow up, go to school, graduate, go to college, graduate, move back home, move out … and start their own career! It just doesn’t get any better than that! NOW, we know how our parents felt–some 30+ years ago–it wasn’t JUST the financial reward of a child graduating, but it was the emotional “paycheck” of knowing that you’d done your part to make a difference in our world. AND, if what we’ve seen over the past three weeks is ANY indication—wooooooo, watch out second graders–you’re going to be in for an AMAZING ride!!! The roller coaster always goes up, down, side to side — and that’s the way life goes too. We never know what turn is coming up. . .we don’t know when there is going to be a drop that we didn’t expect, and who would have thought that all of a sudden we’d be heading up, up and away? When professional athletes ascend to the next level, they call it getting into the zone. When we get to the next level, we call it ‘being focused’. Whether it’s getting ready to teach second graders, getting ready to take courses for our Junior year in college, helping another school reach their admission numbers or selling out a networking golf tournament, we ALL find a way to navigate through the turns, dips and inclines of life’s roller coaster. . .we call it–being in the wheelhouse of life. Funny that we’d call it that! 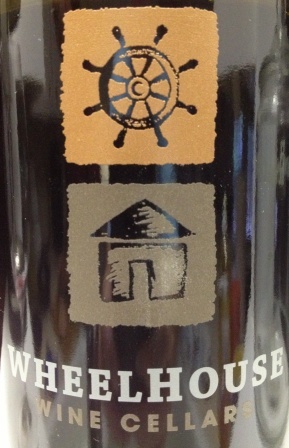 Tonight we opened a 2010 Wheelhouse Cabernet Sauvignon from Napa Valley. And, for all the fancy wines that come out of Napa, who would have thought that we’d find this little beauty for less than $15 at World Market? We didn’t see it coming, but that’s probably because we were too busy looking at the wine racks on display for $10 – yes, we bought one . . . heck, for $10 it was a deal and potential could hold 144 bottles of wine . . . Yeah, the World Market in North Austin next to Dave & Buster’s was clearing out their wooden wine racks and–you know–it’s REALLY hard to pass up a deal–so now, although it’s NOT a BRWC–it IS a major wine rack that will store MANY of our POST-BLOG wines! This 2010 Cabernet Sauvignon is a wine of structure and finesse, with blackberry and cassis fruit aromas and flavors, backed by subtle notes of chocolate and anise. Its suppleness lends it to drinking now, but it will age gracefully over the upcoming decade. The wine lends itself to classic Cabernet fare: Filet Mignon with Wild Mushrooms or a simple grilled New York strip steak. . . BUT since we didn’t have such fancy fare, we opted instead for stir fried chicken with roasted veggies and steamed white rice. It was a nice combination to go with the wine! For a wine at less than $15 a bottle, it’s got all of the things you want in a big wine–dark fruit, smooth taste and finish and a lot of flavor. We were impressed enough to buy multiple bottles of the wine and still can’t believe that it’s available for such a low price. Hmmmmm, the list is narrowing for the Top Ten Bondy Deck Wine List. Wines like this don’t come along every day, and whether you care to buy this wine or enjoy your favorite wine, please do so responsibly and remember to recycle whenever possible. Categories: Uncategorized | Tags: 2010 Wheelhouse Cabernet Sauvignon, Bondy Deck Wine List, Carol Burnet, Milkbone underwear, World Market | Permalink.